Allows application from a safe distance of up to 20 ft. 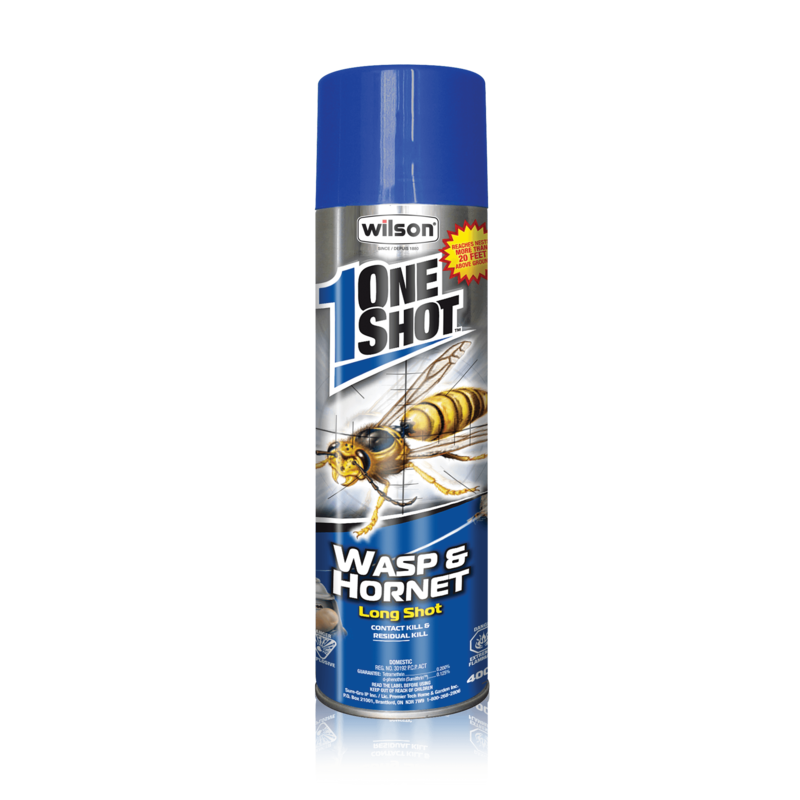 Remove protective cap and point nozzle in direction of the wasp nest or at the insect. Press the nozzle and completely saturate the nest from a distance of 2 to 2.5 m. Allow sufficient time for insects to die. Wasps, bees, hornets and yellow jackets. Application to wasp nests should be made in late evening or early morning when insects are at rest. When container is empty, press button torelease all pressure, then wrap and dispose in household garbage. Do not puncture or incinerate container. May be harmful if swallowed, inhaled or absorbed through skin. Provide adequate ventilation of area being treated. Avoid contact with skin, eyes and clothing. Avoid breathing spray mist. Wash thoroughly with soap and warm water after using. Read label carefully before using the product.